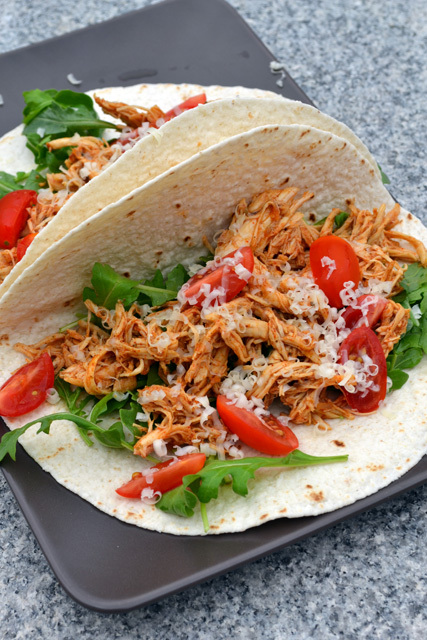 So, besides my continual summertime interest in looking up grilling recipes, right now I’m addicted to looking up great slow cooker recipes. I figure I should get somewhat prepared/ inspired, for when The Bean comes this winter. Gotta find some simple tasty meals that we can whip up instead of eating pbj or pasta 24/7 or getting take out. The Bean is costing us enough now so constant take out is out of the question anyway. A recipe with 4 ingredients that takes about 2 minutes to prep is my kind of recipe. 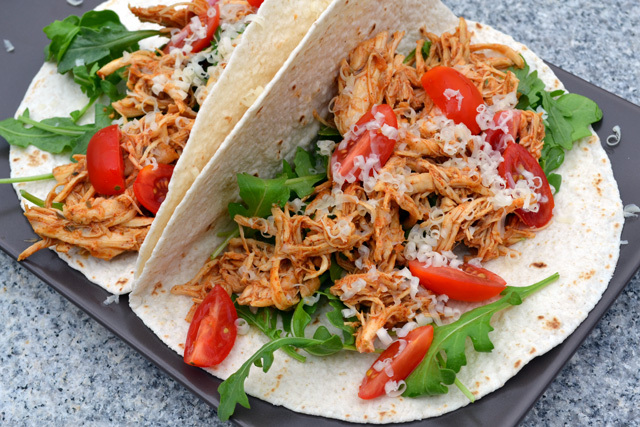 The thing that sets this apart from a typical pulled chicken recipe for tacos is the ranch seasoning. It really out the taco flavor and gives it a bit of a kick. Which, for me, meant that my taco didn’t need much added to it since the meat was so flavorful so just some arugula, tomato, and a bit of sharp cheddar. Add the taco mix, ranch dressing, and chicken broth on top of the chicken. Shred the chicken, cover again, and cook an additional 30 minutes. Serve as tacos or taco salad. Enjoy!